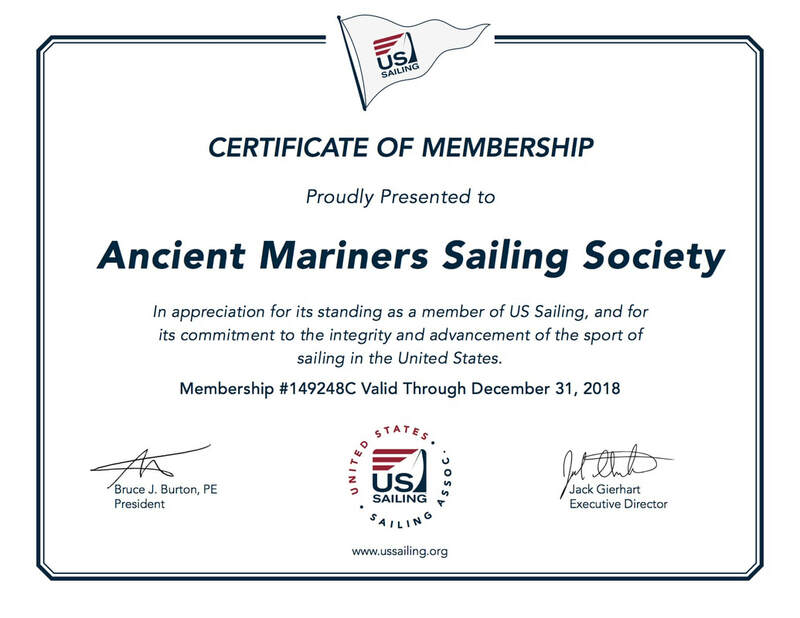 The Ancient Mariners Sailing Society (AMSS) is a fraternity of people interested in the preservation of vessels of classic design. As owners of historically relevant vessels, AMSS members understand that they serve as the temporary line stewards of true maritime treasures. As such the Ancient Mariners fleet comprises a “Living Museum” of boats in service which are well loved and cared for, and which are shown and raced together on a regular basis. Ancient Mariners flag vessels run the gamut from small classic knockabout dinghies to large, magnificent yachts originally constructed during the “Golden Age” of sail, before the Second World War. The Ancient Mariners Sailing Society has been at the forefront of the classic yacht movement, which has obtained rapid growth and a worldwide presence and cultural following in recent decades. The AMSS was founded in 1975 as a not-for-profit 501(c)(4) corporation. Along with the Master Mariners Benevolent Association in Northern California, and many other regional organizations and clubs, the Ancient Mariners Sailing Society supports a fleet of classic vessels which are readily viewed by the public in their natural element – the Pacific Ocean and inshore waters of our West Coast. Maintained to sail rather than stand as exhibits shoreside, these museum-worthy maritime artifacts are living treasures, yet fulfilling their original purpose, often well beyond their years of expected service. "Sometimes a beautiful boat is simply worthy of devotion, reverence and awe, and no one doubts it. A beautiful boat is as obviously invaluable as a Leonardo sketch or Monet’s water lilies. The boat can be a magnificent structure. And the boat most likely to be deemed so is surely the wooden boat."